Where good food, good drink and good people come together. 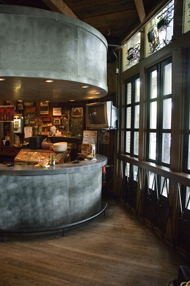 Belly up to the bar or grab a seat in a cozy booth. 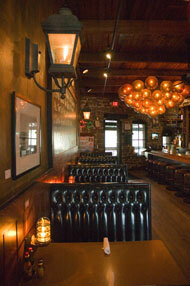 Or grab a spot at the oyster bar and enjoy the freshest oysters in Atlanta. 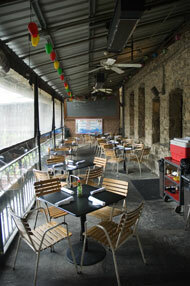 Our patio provides covered seating beneath the stars. Whatever your preference, you're sure to find a spot that fits your needs. See you at Fontaine's! HALF PRICE PEEL & EAT SHRIMP ALL DAY. 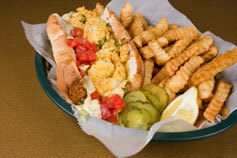 OYSTER SPECIAL TUESDAY...WOW Half Price dozen house oysters on the half shell. Ridiculous! 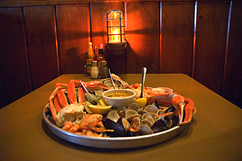 CRAB LEG SPECIAL ALL DAY! Everyday discounts on food for restaurant industry workers....just be able to prove it if you want the perks. 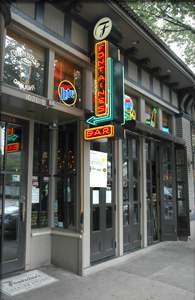 WWII Veteran: "Ever heard of it"
Fontaine's was named after Fontaine Weyman, uncle of owner Sam Weyman. Fontaine was a fixture at Fontaine's and could often be found chatting with locals and regulars.